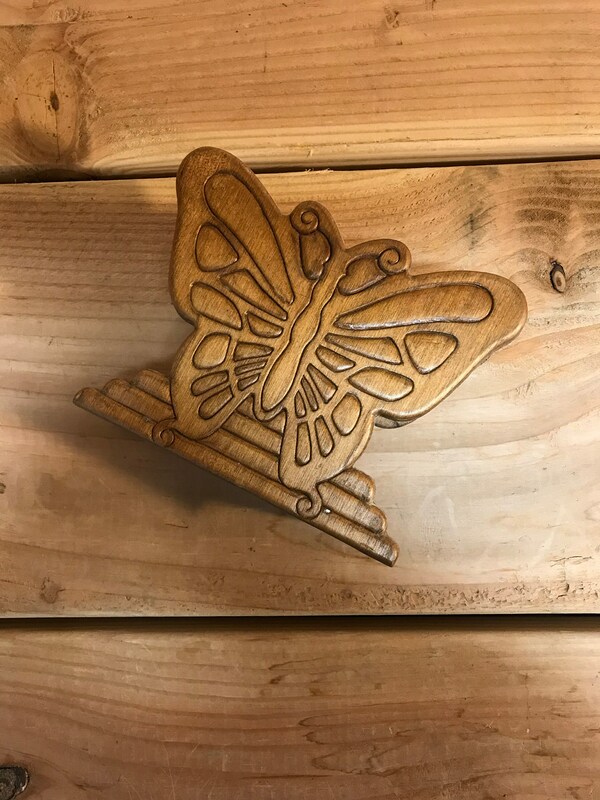 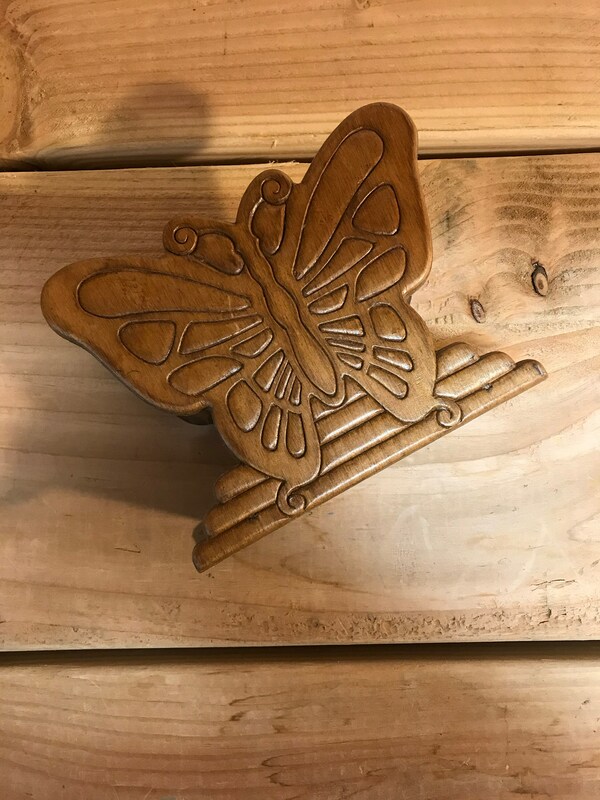 Vintage wood butterfly napkin holder in great vintage condition. 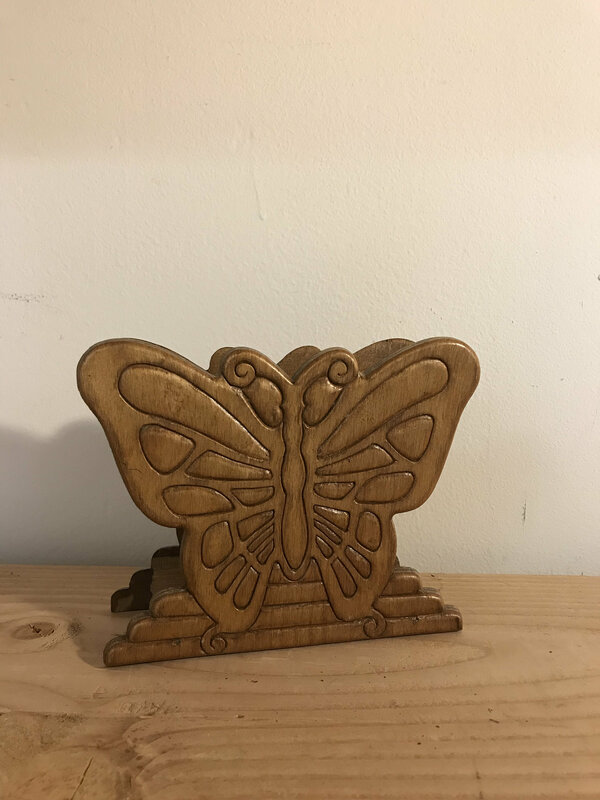 Stand 5.5” tall. 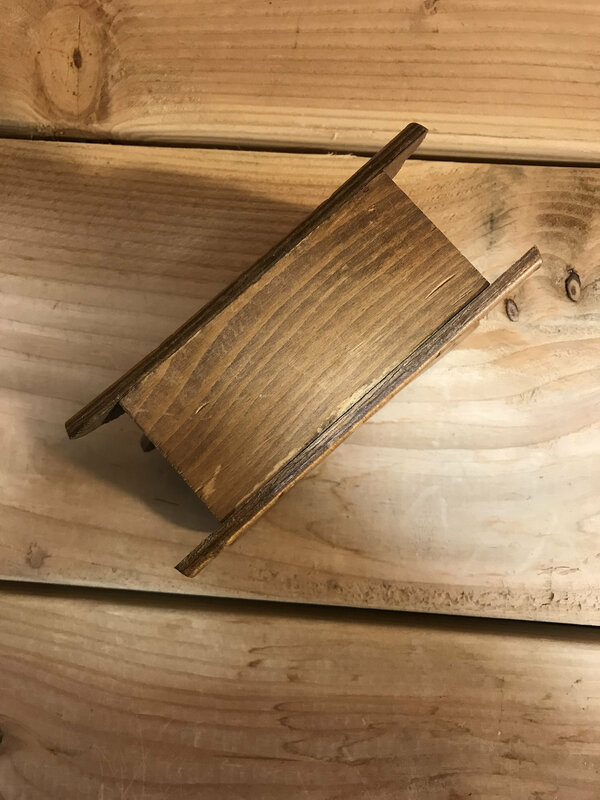 2.75” wide.